Most babies begin teething when they are approximately 6 months old although it is not unusual for a baby to be born with teeth. As we have discussed under previous topics, babies are unique individuals and many factors are involved in each child’s individual development. I personally knew a toddler who did not cut her first tooth until she was 2 years old. The older brother had teeth at six months so this was a very unusual situation for the parents. Researching back through the family history found that an Aunt had also cut her first tooth at a much later stage. Like all milestones in the development of babies and small children a tooth could appear at any time from 3 months onwards, therefore infant dental care is important from the time the first tooth erupts. If you notice that your 3 – 4 month old baby is dribbling more than usual and gnawing on his fist or any object he can hold in his hand it could be an indication that the gums are tender and irritating him. Sucking is a natural part of many babies development and often brings great comfort to a child who is teething. 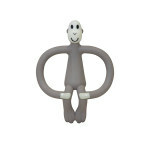 Offer your baby soft teething toys or a teething ring to chew. 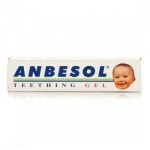 Some signs your baby could be teething. 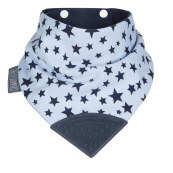 If your baby is dribbling frequently keep your baby’s chin dry as much as possible and change any wet clothing throughout the day. 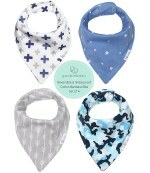 Below are examples of bibs recommended for use when your baby is teething. 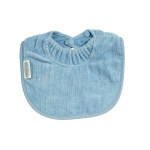 Click on the pictures to read the product reviews or to purchase. Your baby may also wake up at night distressed, refuse his usual nap, and it is not uncommon for babies to refuse to eat as they normally would. Just offer a little food and more often and as soon as the tooth erupts eating habits will be back to normal. As soon as the baby teeth do erupt it is important to take care of them by brushing regularly, night and morning with a soft rubber brush or finger brush (see examples of these at the end of this article). It is not necessary to use toothpaste at this early stage in the development of his teeth, only use water as your baby will not be able to expectorate. The introduction to teeth cleaning requires you to be very gentle, clean slowly where the baby teeth are erupting through the gums especially during the early stages as you do not want it to be a frightening or irritating experience as this could create problems at a later date. Use a light touch when cleaning and massaging the teeth and gums. 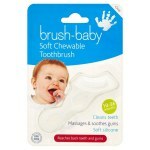 First attempts can be carried out by using a finger brush or brush-baby, a chewable rubber brush (see examples below). Around about the age of two you can introduce toothpaste. Take your young child to the chemist or supermarket to select a brush and his first toothpaste. This encourages him to take an early interest in the care of his teeth. The Guardian Saturday 27 February 2016 is an interesting article to read, tooth extraction continues to be the number one reason 5-9 year olds are admitted to hospital. 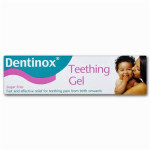 See below a selection of baby teething toys, teething powders and gels, baby tooth brushes and toothpaste. An older baby can also be offered rice cakes or teething biscuits, especially prepared for babies to chew on. e.g. 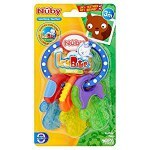 Bickie Pegs which can be bought at Boots the chemist, Amazon online, some supermarkets. Children’s Toothbrushes can be purchased at any Chemist, Supermarket or online. 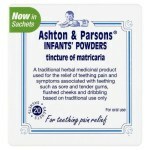 If unsure what softness, size or shape is required always ask an assistant, the Pharmacist or a Health Professional. 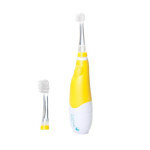 The following are popular toothbrushes Click on a picture to read reviews.